Do You Live In a Constitutional Free Zone? “Did you know that from the border to 100 miles inside the United States, that area has been declared a Constitution Free Zone? Simply put, this means that you have no Constitutional liberties! Related: This Is The Future! “I have been asked by legislators, law enforcement, lawyers and Maine voters who are confused as to the legitimacy of the 3rd referendum question and whether or not, it is Constitutional. Fourth Amendment lovers, beware, unless Congress intervenes before Dec. 1, the FBI will soon be given the power to search millions of computers, or cellphones at once, without you knowing it, without probable cause, and even if the FBI doesn’t know where you are, even in foreign countries. Genealogy of the Constitution | Mrs. KrisAnne Hall, click here. Public Notice To All Legislators & Civil Officers: Change the Constitution? Please respond, eventually you will have to vote on this issue. Please start understanding this issue now. We the people of Maine, Inc.
DID YOU KNOW THEY WANT TO CHANGE THE UNITED STATES CONSTITUTION? Speaker: Deborah Stevenson is from Southbury Connecticut. She is an attorney and has been a strong defender of the Constitution and the secured and protected rights of parents and children and the protection of the original Constitution. RSVP: To facilitate custodial set-up and to insure proper seating, it may be necessary to reserve your seating. Contact tel #: 738-4861 – 694-0721 – 650-7033 or reply to email. Evidence of historical scandal found at Belfast (Maine) library. In 1983, researchers David Dodge and Tom Dunn, while investigating governmental issues, came across a copy of the Constitution of the United States published in 1825. They were astounded to find the original 13th Amendment. Join us with our special guest, David Dodge. 11/12/2014 08:30 PM EST-EPISODE 42, listen here. CONSTITUTION OF MAINE (1825) ART. XIII, click here. The Constitution of the United States, click here. “Here we go again, another election year and now we suffer the one sided, one issue sentiments that fill the opinion pages to ad-nauseam! Don’t people get it, even though a person has emotions and one sided issues that a candidate shares, does not a good candidate make. Tom Jefferson said (and I generalize): ”The greatest detriment to a republic is a two party system”. What did he mean? His fear was that people would place more trust in their party ideology than a government with honest and truthful legislators. So why would an elector today cast their vote just because a candidate belongs to the elector’s party? 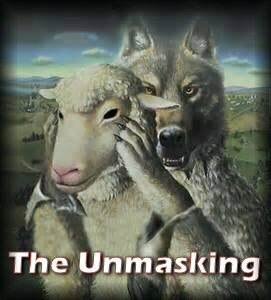 The problem is the electors today do not investigate or vet their candidates, they know absolutely nothing about the candidate and they are swayed and fooled with lies, what they see, hear, their emotions and their party. This is why we continue to lose our national and state governments and our unalienable rights. This means to us, that we trust the legislators to make all laws according to the U.S and Maine Constitutions. 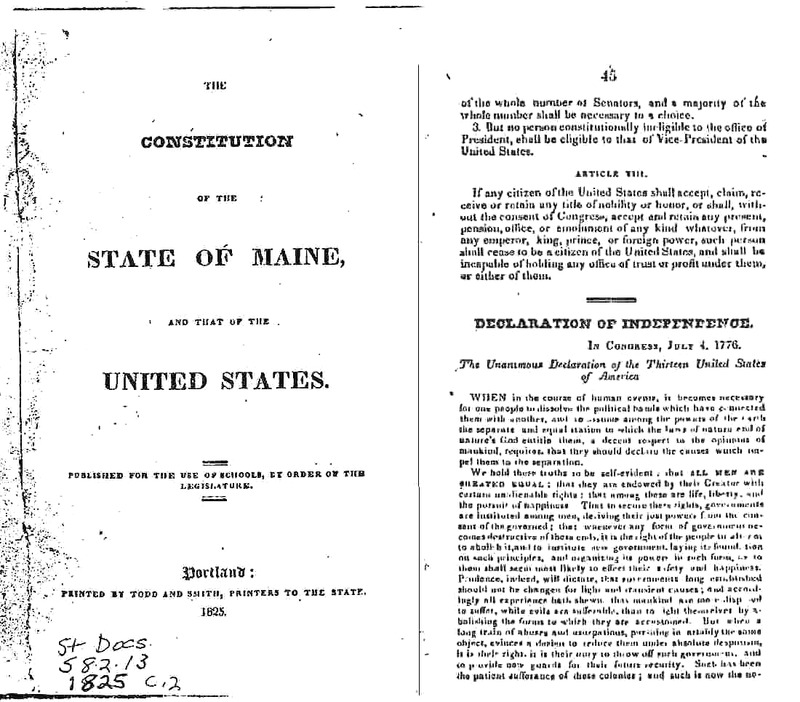 The Maine Constitution confirms this in Article IV part third, it says: The Legislature, …….., shall have full power to make and establish all reasonable laws and regulations for the defense and benefit of the people of this State, NOT REPUGNANT TO THIS CONSTITUTION, NOR TO THAT OF THE UNITED STATES. Now what does all that mean. It means that the Congressmen and our Maine Legislators must make laws that will benefit and defend ALL the people. That does not mean that government laws and rules could line the pockets of corporations, their lobbyist, legislators, governors, congressmen, judges, or lawyers. That does not mean that the power and control can be stripped from the people by laws that take money from the people and then transfer the money, power and control by felonious laws! There are two main problems. First of all, all of the Candidates, the Congressmen, the Governor and the legislators refuse to read, study & follow the U.S. and Maine Constitutions. This summer we provided six symposiums for them to attend the presentations, but both parties put out the word to ignore this opportunity. Secondly, by Constitutional law, once an elected person knows and understands the Constitutions and they willfully violate it, it could be considered “TREASON”. Related: Election 2014: Do You Know The Candidates? Click here. Sheriffs Stand Tall for the Constitution, listen HERE. Related: York County (ME) Sheriff’s Race: Is William “Bill” King The Federal Trojan Horse? Click here. State of Maine 1855 Resolve….Now The Rest Of The Story…click here.